I just got a call from Kim Hughes of White Horse Black Mountain, and we are rescheduling tonight's concert due to the snowstorm predicted for tonight. The concert is now slated for this Sunday, Jan. 31 at 3:00 pm. Hopefully everyone will be "dug out" by then and ready for a beautiful meditative musical experience on Sunday afternoon. Continuing to enhance the offering of first-quality jazz at the Piano Bar, the outstanding Asheville-based pianist, Richard Shulman will be performing on Portofino’s baby grand, presenting many of the best-loved jazz standards as well as a number of his original ballads. Richard has always been a favorite at past Jazz Society concerts— so don’t miss this special solo performance! 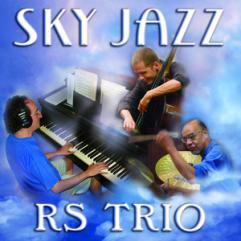 New Blog post "What is Sky Jazz"
"Sky Jazz" is the title of my recent trio recording. 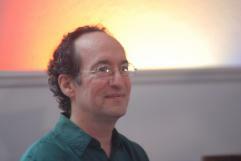 I owe that title as well as the understanding that "Sky Jazz" is a genre of music which incorporates elements of jazz with a strong intent for healing and well-being to my friend, psychologist and jazz writer/critic Dr. Judith Schlesinger. Judith wrote the liner notes to the album here and I've just added my own commentary which gives a background to the bringing of intent of healing to composition and performance of jazz.